On a clear, starry night, the jeweled beauty and unimaginable immensity of our Universe is awe-inspiring. Star-gazing with binoculars is rewarding and may begin a lifelong hobby! 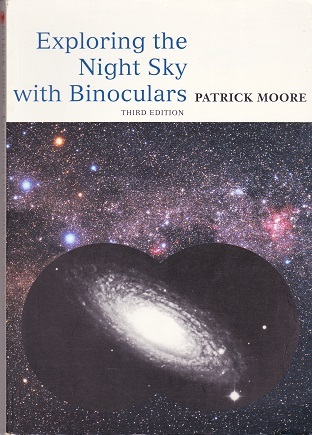 Patrick Moore has painstakingly researched Exploring the Night Sky with Binoculars to describe how to use binoculars for astronomical observation. He explains basic astronomy and the selection of binoculars, then discusses the stars, clusters, nebulae and galaxies that await the observer. The sky seen from northern and southern hemispheres is charted season by season, with detailed maps of all the constellations. The reader can also observe the Sun, Moon, planets, comets and meteors. With many beautiful illustrations, this handbook will be helpful and encouraging to casual observers and those cultivating a more serious interest. The enjoyment of amateur astronomy is now available to everybody.